How do you start your Monday morning off right? 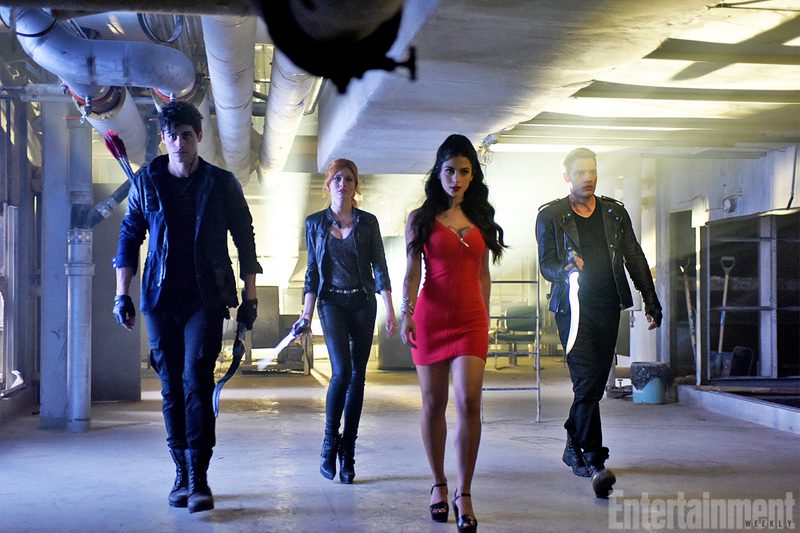 With the reveal of the first stills from Shadowhunters, of course! 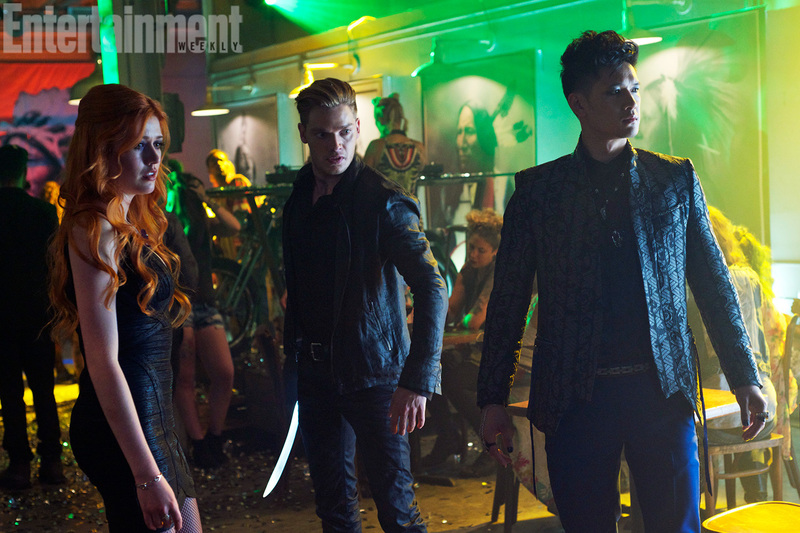 Entertainment Weekly has shared a first look at three stills from Shadowhunters‘ first three episodes, featuring Katherine McNamara (Clary), Dominic Sherwood (Jace), Matthew Daddario (Alec), Emeraude Toubia (Isabelle) and Harry Shum Jr. (Magnus). Shadowhunters premieres in early 2016 on ABC Family. Reblogged this on clary fray ૪. I cant wait ! I read all the books and also the infernal device trilogy…. Love the cast! The Lightwoods seem really on point! This looks great! I am so excited for this show! These stills look great! I’m not a huge fan of how they seem to be sexing up Isabelle, but I guess I can hold my judgement until I see how it’s handled. That’s how she dresses in the books though, so it’s not really sexing up, it’s being book faithful. Movie got her wrong. I agree with you. I shall wait until the show comes out. WTF Still no rainbow pants for Magnus!?!?! Why does every single fantasy movie, or television show for that matter, have to have that stupid picture with the characters all walking in sync? It’s such a stupid pose. Harry Potter did it, Twilight did it, Hunger Games, and so on. You’d think the highly paid photographers would try to be a bit original. Other than that annoying critique I like the other photos very much. 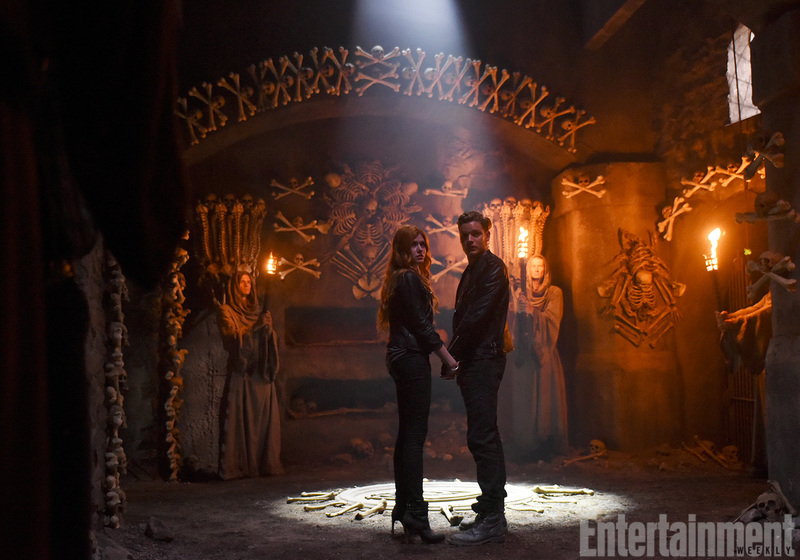 Are Clace holding hands or like tied together…?